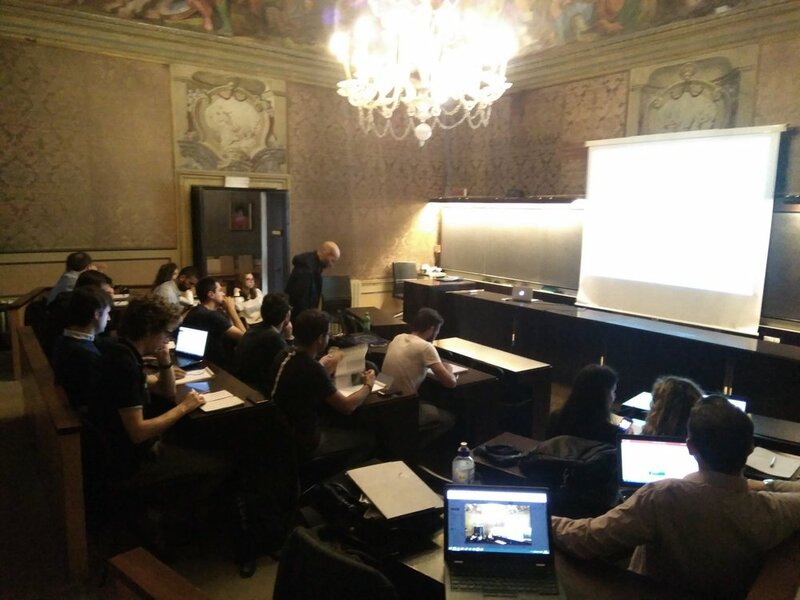 One year ago, John and Aonghus from the Dwr Uisce team were kindly invited to contribute to a workshop proposal, and this was led by Armando Carravetta fron Università di Napoli "Federico II", Napoli, Italy. Soon after, this proposal became a reality and earlier this month the Advanced Professional Training on "Pressure Control with Energy Production by PAT (Pump as Turbine) in Water Supply Networks" was held at the International Centre for Mechanical Sciences (CISM) from September 11-15 in Udine, Italy. Aonghus contributed his expertise to the regional assessment and associated technical challenges of PAT deployment, while John focused on the environmental impact and life cycle of this technology. Other speakers from Italy and Portugal addressed the various technical challenges of PAT design. The event was a great success and John and Aonghus got to share their knowledge gained through the Dwr Uisce project, while also promoting our work and growing our network of PAT experts and energy recovery enthusiasts across Europe.